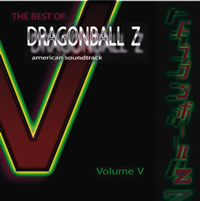 Your favorite music soundtracks from the hit series DRAGONBALL Z. Over 25 tracks with over 50 minutes of music. This compilation is your CD. Here is the music of Goku, Piccolo, Gohan, Ginyu, Frieza, Garlic Junior, Cell, and the Kais, that you voted into this CD. Theres action, drama, suspense, reflection, mystery, and all those elements that embody the DragonBall Z epic. Over 30 tracks - 60 minutes. Bikers, Androids, young Trunks and Goten, Gohan, Goku, Vegeta, and many others make a cameo appearance in this CD of your favorites. From the zany to the powerful, theres lots of action packed into these tracks. Its DragonBall Z! SSJ3 is here! So power up with this latest release. There's more of Buu's music and a special release of Goku and Uub's farewell scene as they journey to Uub's home. Running time is over 60 minutes. The Ginyu Force has arrived to scope out the incredible power of this DBZ Volume. Your favorite characters and missed scenes are mastered here for maximum energy. This is your Spirit Bomb — its the power of all your emails, telephone calls, and letters asking me to release these DBZ tunes. Well here it is: Roku for Goku! Thats six translated into Japanese, but we packed in over 60 minutes (71!!!) 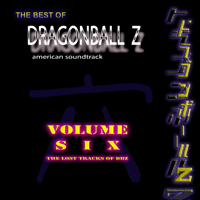 of music into this collectors Volume; these are the Lost Tracks of DBZ! A collection of favorites from the Trunks Sagas music soundtrack compiled from episodes #118-125 of the hit series DRAGONBALL Z. Included are bonus tracks of the complete episode #120. "Another Super Salyan?" Running time is over 48 minutes. 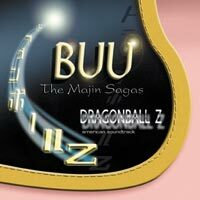 A collection of BUU - Majin Sagas music soundtrack compiled from episodes of the hit series DRAGONBALL Z. Don't listen to this CD in the dark.... who knows where Buu might be lurking? So watch out.... "and please do not get turned into a bar of chocolate!" Running time is over 60 minutes. 20, 19, 16, 17, and 18. Have I lost count yet? 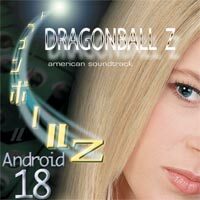 Faulconer Productions Music has received a limited quantity of Beckett's Dragonball Z Collector number 30 that contains an interview with composer Bruce Faulconer. As a treat for all you DBZ warriors, Bruce has agreed to autograph every copy purchased from the Faulconer Productions Music Online Store. Purchase your copy today while supplies last! Faulconer Productions Music has received 100 copies of Beckett's Dragonball Z Collector number 31. The evolution of trunks from childhood to GT adorns the cover of this issue. This issue features a poster version of the cover, information on he Android Subset from the Babidi Saga set, and much, much more. Faulconer Productions Music has received 100 copies of Beckett's The Best of Dragon Ball Z Issue 10 (May/June 2003). The cover of this issue features Super Saiyan 4 Goku from GT with a Gold Foil background. It's an awesome cover! Then inside we have lots of info on the GT series! In Jazz Prequel, Janice Garner performs romantic classics immortalized by Ella Fitzgerald, Rosemary Clooney and others. Janice Garner is a talented singer whose signature vocal style is to be savored and never missed. A perfect gift for Father's Day!